Keeping your teeth clean, straight and properly spaced are all important if you want a “Hollywood” quality smile. But if you truly want your smile to be as pretty as possible, you also have to keep it bright and stain-free. 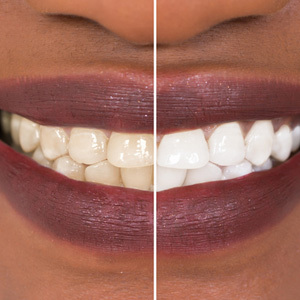 In one morning or afternoon appointment with Dr. Sowmya Punaji at her Woodbridge, VA dental office, you can say goodbye to your dental stains and hello to a brighter, whiter smile. You eat three times a day and likely drink colored beverages (such as coffee, tea and fruit juices) often. Food and drink are the most common causes of tooth stains. A tooth that is cracked or has a cavity could develop dental stains if it’s not treated. When the enamel is weak, it is more vulnerable to being stained, so poor dental care, in general, is also a common cause. People who take certain types of medications sometimes develop tooth stains as well. The safest and most effective way to get rid of unattractive dental stains is to see your Woodbridge dentist for professional teeth whitening. Products at the store don’t have the same brightening power as the treatments available at your dentist’s office. You can choose between in-office whitening (while you wait in the chair) and take-home whitening trays that you wear over the course of a few weeks. After a tooth whitening session, you can go home confident that your smile will be stain-free for up to two years. 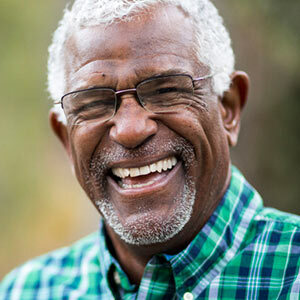 Some patients report that their smiles continue to look noticeably whiter years after that. The whitening effects will last longer the better you care for your smile after the appointment. Preventing future discoloration requires you to brush, floss and rinse often—preferably with whitening products recommended by your dentist. Even one dental stain can have a major effect on the overall appearance of a person’s smile. Call Legacy Dental Care in Woodbridge, VA at (703) 494-4490 to schedule a professional teeth-whitening procedure with Dr. Punaji.